On Saturday, January 15, 2011, openly gay 18 year-old high school student Lance Lundsten died. Fellow students reported that Lance was openly gay and subjected to bullying at school and expressed their sadness and their wish that some adult had protected him. But the adults in Lance’s life had an entirely difference response. Jefferson High School, where Lance was subjected to homophobic bullying, has no gay-straight alliance, has no inclusive anti-discrimination policy, and no acknowledgment of the existence of students like Lance or any provisions to address their need or concerns. The school superintendent Terry Quist issued a statement that not only refused to consider that bullying could have played a part, but chastised and criticized Lance’s friends for suggesting that Lance’s death may have been at his own hand and due in part to bullying he experienced while under Quist’s supervision. We are aware that statements attributed to unidentified students have been reported by the media. However we have no information regarding the source of or any factual basis for the statements. It would be disrespectful, as well as a violation of privacy laws for us to engage in speculation regarding the cause or circumstances of Lance’s death. But lack of “factual basis” did not limit others from engaging in a public relations effort to deny who Lance was, squelch any talk about issues that could have led to his death, and craft a pretty lie to replace the story that fellow students were presenting. Rather than allow the tragedy to be an opportunity to acknowledge that Alexandria, MN, has a culture of animus and hostility towards gay people, including their own children, those who should have protected Lance instead joined together to bully him after his death. Lance had a strained relationship with his parents and was living with his grandparents at the time of his death. After his son killed himself, his father stepped up as spokesman for his estranged and now dead son and declared that it was a medical condition that killed the young man. 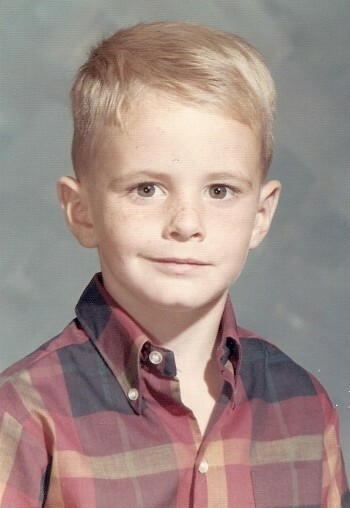 And although the coroner refuted this claim, Jon Lundsten was not interested in considering whether his son had been bullied or whether Jon’s own difficulties with his son had contributed in any way to Lance believing that life was not worth going on. So he stuck with his “enlarged heart” tale. Besides diverting any need to talk about any icky gay stuff, this solved a more immediate problem. Declaring Lance’s death not to be a suicide allowed for his memorial and burial to be through the Catholic Church. Rev. Father Steve Binsfeld could officiate. According to preliminary autopsy results that were shared with the family, he died from cardiac edema, a condition caused by an enlarged heart. There was no evidence that drugs or alcohol played any role in the death, according to a family member interviewed by the newspaper. The family was told that it would be six to eight weeks before complete toxicology results are determined. This was a pure fabrication. But on the 21st, that story was expanded and renamed “School copes with loss of 18-year-old“. It repeated the “preliminary autopsy report” claims. But across town, the television news was not going along with Jon Lundsten’s diversion. Instead, they ran a story on the reports of bullying, talked with the coroner’s office, interviewed a gay former student from Jefferson, and exposed the truth that Jon Lundsten, Al Edenloff, and Terry Quist wanted to keep hidden. And fellow students who saw through all the denials began to band together, insisting that if the adults wouldn’t protect gay kids, then they would do what they could to help. Being of the social media generation, they used Facebook to not only expose the lack of concern of the adults, but also to reflect on how they could work together to address bullying. This was certainly not the message that reflected well on the adults. Rather than have media interest in Lance’s death quickly die off as a tragic tale of a young man cut down early by a heart condition, the story began to grow as one about callous administrators who refused to take responsibility for their own actions. Even worse, the public was becoming aware that the school board’s decision not to protect gay students could lead to death. Alexandria’s intolerance and the lack of support in his family and his school. Seeking to keep the city and the school from being portrayed as “a backwoods little punkwood town”, he went on the attack against those students who dared to make a difference. Don’t believe everything you read on Facebook. And don’t post things on the Internet that you’re not entirely sure of when it comes to someone else’s life. And although by this time Edenloff had to know that Jon’s story was not being backed up by the medical examiner, he surged ahead with accusations and insinuations. Today the toxicology reports came back. Lance’s death was a suicide. The mystery surrounding the January death of Lance Lundsten, the Miltona teen whose controversial death sparked a conversation about teen suicide across the nation, has now been revealed by the Douglas County Medical Examiner. Dr. Mark Spanbauer confirmed Monday, March 7, that the teen’s manner of death was ruled suicide. The toxicology report from the Bureau of Criminal Apprehension and MEDTOX, determined the cause of death to be a mixed drug ingestion, according to Spanbauer. “It was a mixed drug ingestion and suicide was the manner of death,” Spanbauer said. The Echo Press decided not to cover this story. UPDATE: At some point after we posted this commentary, the Echo Press ran a blurb noting the cause of death. craft a pretty lie to replace the story that fellow students were presenting. Potentially very toxic thing for adults to do. Parental abdication. It looks like the new media will be threatening to the powerful over the powerless in the middle East, but just might empower a young generation to speak truth to power. It is a sad story that has been played out many times, it just got exposed this time. What ideology are we operating in, in that a drug-suicide counts as a win for our team? Can’t we just leave the dead-flower boys to the world of Greek myth? My thanks and sympathy to Lance’s grandparents and friends. And thanks to BTB for calling out the people who should have supported and protected Lance, but who failed so miserably and whose first concern was to exculpate themselves and justify their mean-spirited, nasty little world. Didaskalos, what planet are you from? No one here has suggested that this suicide was a “win” and certainly no one feels that way. The concern is that anti-gay bullying was at least part of the cause and many people tried to cover it up to avoid taking any action to remedy that. The people here want to put an end to it but it seems you want to be complicite in the conspiracy of silence and abet future suicides. A tiny little article acknowledging that the facts in the case were a little different then what the newspaper was reporting. I wonder how far back in the print edition they buried it. Didaskalos…kindly point to where anyone here is calling any of what happened there a win. Another gay teen being bullied to death is not a win. That the nature of his death was being white washed by the local “newspaper” was an outrage, not a win. That there is now an official cause of death they can’t easily sweep under the rug isn’t a win, it’s more like a small shaft of light shining down on a lot of child abusing runts. It doesn’t make you feel good, it makes you feel sick to your stomach. This isn’t “for what it’s worth”. At this time, this blog entry (because that’s what it is – it is neither news, nor fact-checking: it’s inaccurate). The key fact underpinning the headline is flat out wrong. Perhaps if Tim’s article weren’t written in such an slanted way that anything now would be a wholesale re-write or take-down of the blog, it would be easier. It’s just that it becomes very hard to be a critic when you get your facts wrong, and when the bias is so strong that correction has to be done with a deletion key. Incidentally — if readers were to take Tim’s word for it, and were as active as I’d like to see more of us be — we’d call up the Echo and demand to know why, after all their comments, they hadn’t run the toxicology story. And we’d be told that, in fact, the story had run. Then we’d be asked where we got our bogus information. So, how about for the sake of the site’s reputation, Tim. Just a little moderation and patience now and again. Even for the nitwits out there. Thanks. They finally got something up… but what a self-serving piece. Amazing. Echo Post put up their article after this commentary was posted. As for the facts… which ones have I gotten wrong? I’ll gladly correct any inaccuracies. In cases such as this, when Parents of abused students do not step in to charge, or to sue, school districts, then can outside entities take on the task of defending the victim, ableit after the fact? If the child was sexually abused, and the parents did not pursue it…? SOMEONE is responsible here. Who can stand up for the child? Social Services? I would like to see their Departmental Responsibilities. I suspect that they are indeed responsible for pursuing the truth, should the parents or the School Board not choose to do so. Also, does anyone else find it ironic that an Educator does not seek out the Truth, and relay the factual information, and that he does not reject mistruths? also, I did “wait a day”. My commentary went up more than 24 hours after KSAX reported the toxicology results. There is another deeper level of story waiting for someone to talk about. 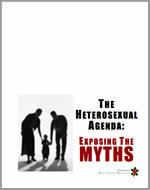 It is more sensitive and touchy but the research has shown recently that it is parent’s and family’s support that is key to the metnal health of young LBGT. What if in some of these overwhelmingly tragic cases, there is a factor in the family environment that has proved to be the trigger for a sucide attempt? How does the story get picked up and reported on if there is a family wall of silence? What family would sue the school district then? Or stand up for gay rights? Timothy Kincaid, you need to check your facts before writing stories. I AM Lances father Jon. I was never interviewed by anyone in regards to my sons death. I knew he was gay and could have cared less. Also, I have no opinion on his cause of death and it makes absolutely no difference to me. Lance is gone. Reading your inaccurate article and conspiracy theories is more disrespectful to Lance than anything else that has happened. Jon, it seems strange and disheartening to me that you have no concern over what caused Lance’s death. If it was suicide I’d think you’d want to see something done about the environment that lead to it. This story is another powerful reminder of how children do best with a mom and a dad. Richard Bush — where do you get that? He HAD a m”mom and a dad” who shuffled him off to Grammy rather than support/attempt to understand their son. He’ll, I had “a mom and a dad” who, when I let them know I had been being molested by a neighborhood man — I was 11, and the molestation had been ongoing for three years — nearly beat me to death. When I was in my 20s, and they realized I was gay, they disowned me. The last time I saw my mother was in 1984; she died in 2009 with — according to her obituary — “all her loving family around her.” I wasn’t there. Mr. Rush, you have a “belief.” That’s fine; everyone does… but most people, when faced with proof their belief is not based in reality, at least give pause before jumping on a soapbox to publicly espouse that failing/failed belief. Eric– Richard’s comment was intentionally, acidically, italically sarcasm of the first order. I should have realized that… but with me, there’s certain topics that just hit my brain’s “auto respond” button. Given the stories you’ve told, I can well understand it. Ben, thanks for the clarification to Eric. If you believe that you have been misrepresented, your beef is not with me but with the local news reporters. Lanceâ€™s father called KSAX and said he received a call from the coroner saying Lance had an enlarged heart and died of a coronary edema. He said he believed it was not a suicide. He also believed there were no signs of drugs or alcohol in his son’s system, but the toxicology report has not been finished according the medical examinerâ€™s office. The medical examinerâ€™s office also said they had no comment about the phone call to Lanceâ€™s father. I followed this story when it broke several years ago and communicated with local media. If there are errors, it is not out of callousness or a desire to create conspiracies. It is irrefutable that the editor of the Echo Press actively sought to disseminate false information. However, I am certain that Lance’s death was and remains painful to you. And for that, you have my sympathy.